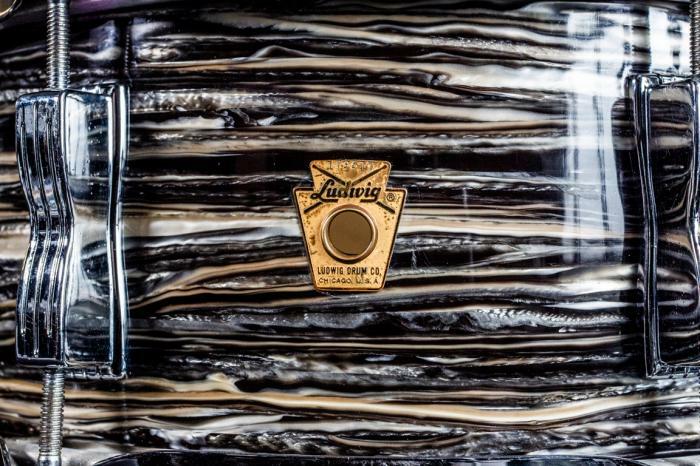 60s Ludwigs In the Coveted Oyster Black Pearl Ringo Finish, Now At Drum Den! These drums have finally emerged from the mist, just in time for Halloween! Are you going as Ringo this year? We can help with the gear! 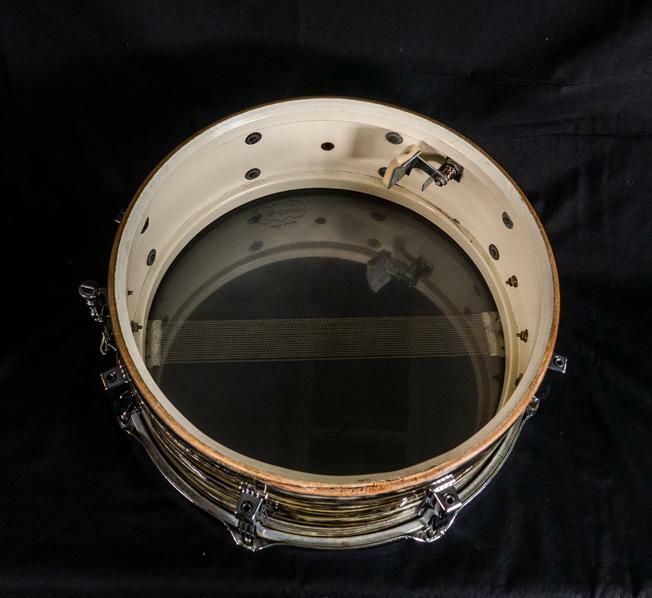 Some of the drums are featured for sale here on our website, but please also see our eBay or Reverb stores for details! 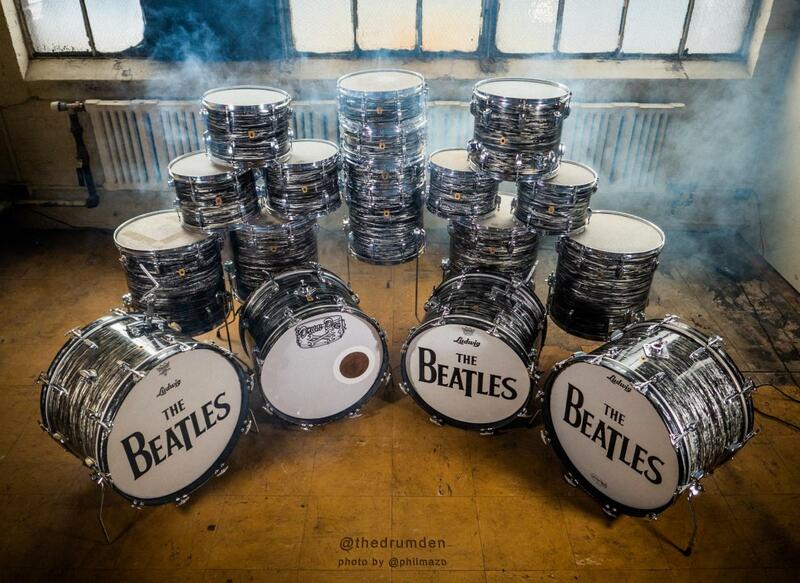 Welcome to The Drum Den’s Ringo Finish Extravaganza! 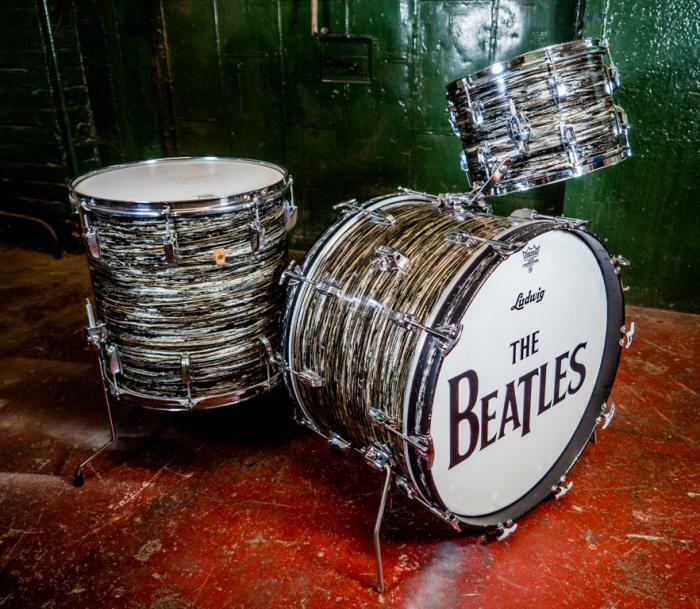 The Beatles and Ringo specifically helped spur thousands of young people to become musicians and subsequently created a high demand for drums in the iconic finish preferred by the famous drummer. 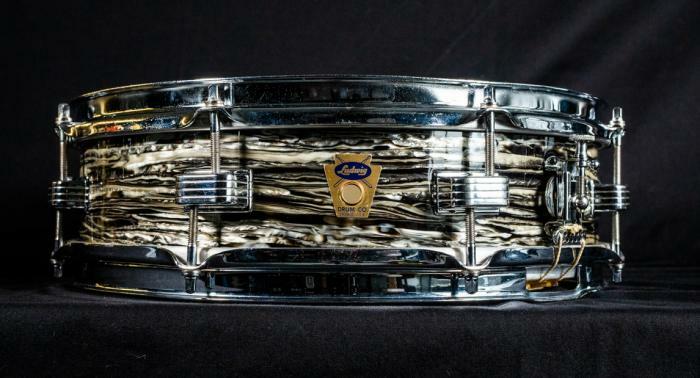 Recently, a seller approached us with a large number of Ludwig Oyster Black Pearl finish drums they had been collecting over the decades and were looking to part with. 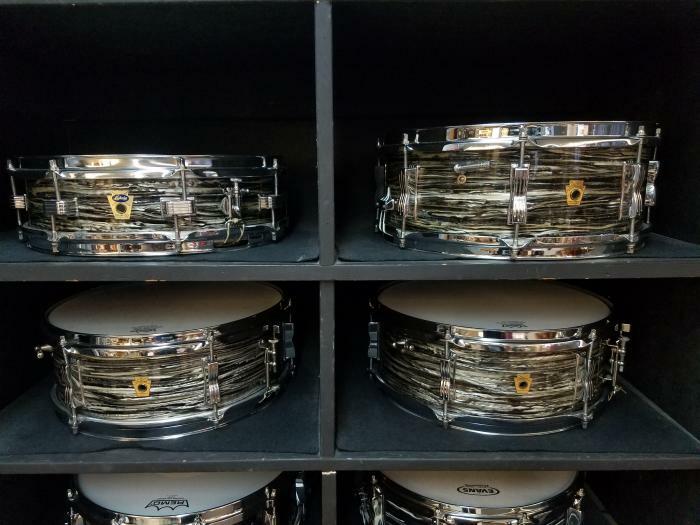 It’s not all that often that we see a single one of these drums available because they are so sought after, so to have this many come through the shop all at once is quite the treat! 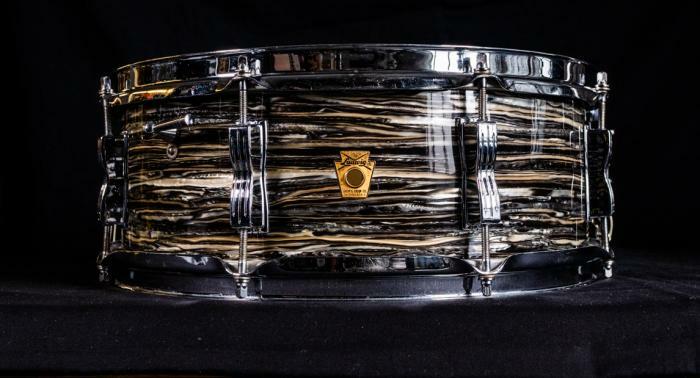 The condition, fade and finish of these drums varies widely, though most are in excellent condition for their age.There are wide varieties in fade and pattern to the wraps of these drums and it is hard to find matching pieces for a cohesive set. To the best of our knowledge, virtually none of the drums in this collection were “born” together. As such, we have decided to sell most of the drums individually, which is also how the collector acquired them to begin with. 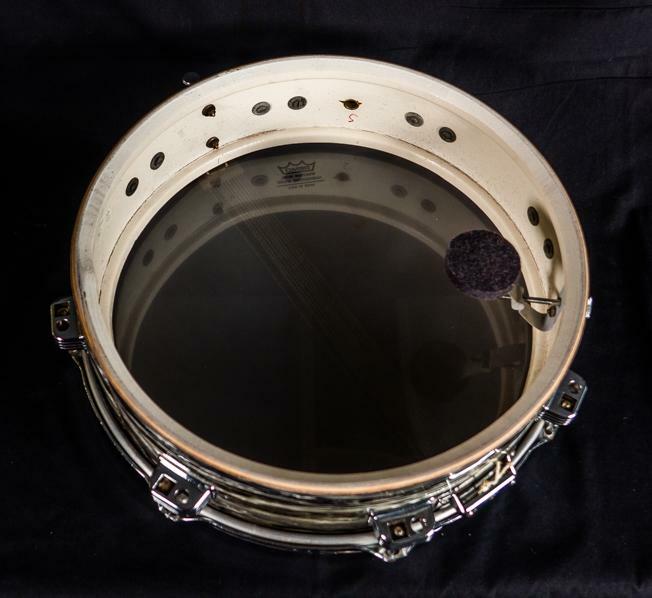 While we hate to see orphan drums if they would better make a matching set, we believe that selling them separately gives the best chance that these drums may find their closest matches and help others to complete kits. 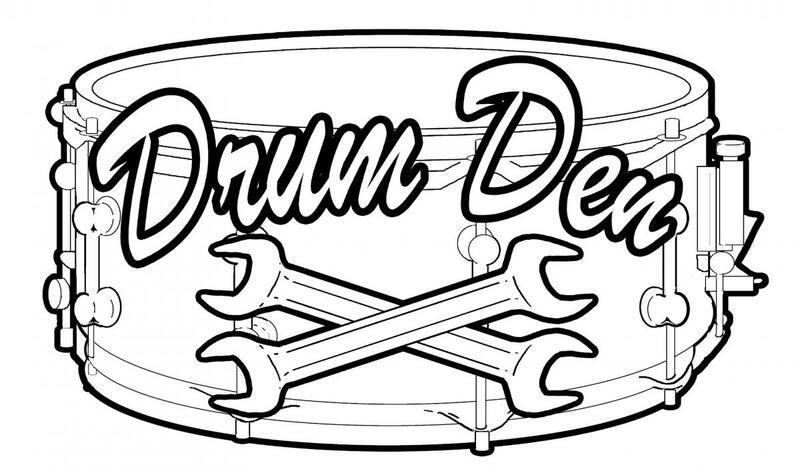 Please have a look and here’s hoping that you find that special drum or drums you’ve been searching for!